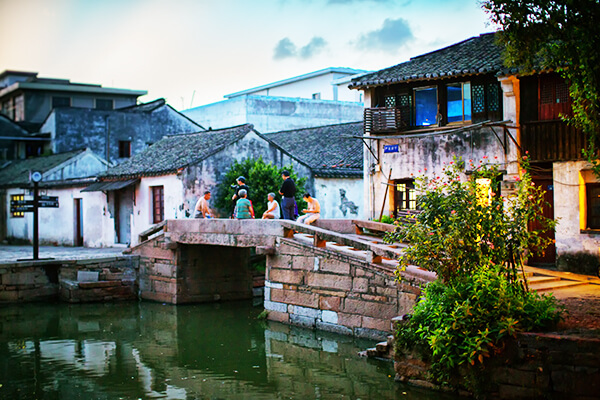 Huishan Ancient Town, built and becomes popular for its ancestral halls, still keeps its antique beauty of an ancient town in the south of the Yangtze River. Huishan Ancient Town, built and becomes popular for its ancestral halls, it still keeps its antique beauty of an ancient town in the south of the Yangtze River.Now the old town embraces 118 shrines, which are of a great variety of shapes that none resembles another, a rare scene in the world. Thanks to a large number of celebrated architecture, it is known as the “China Museum of Shrines”. Its roads are paved with granite, the walls are painted white with cornices, and there are numerous deep alleys and small lanes. 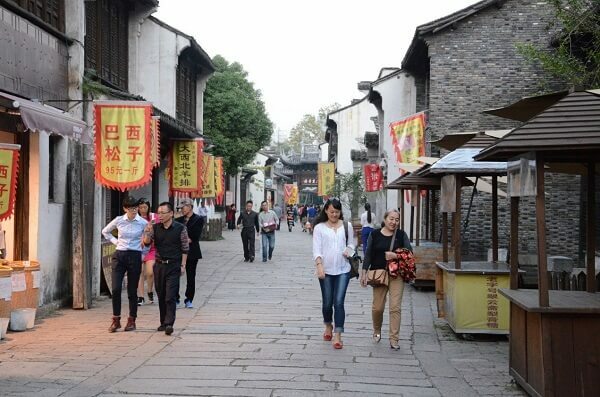 Travelers strolling there can smell the sweet aroma of special snacks in Huishan, such as bean curd jellies and shortcakes in the air and experience the marketplace culture of the ancient Wuxi City. Its roads are paved with granite, the walls are painted white with cornices, and there are numerous deep alleys and small lanes. Travelers strolling there can smell the sweet aroma of special snacks in Huishan, such as bean curd jellies and shortcakes in the air and experience the marketplace culture of the ancient Wuxi City(Pictures from Sushi). 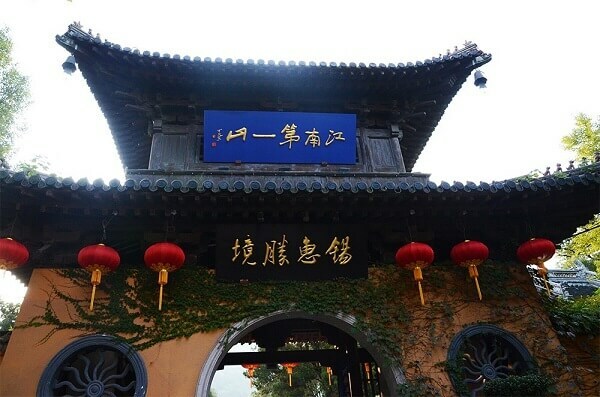 In November 2012, the ancient temple group of Mount Hui in Wuxi City is listed in the World Cultural Heritage Tentative List in China by the State Administration of Cultural Heritage. A temple fair is held here every year on 28th March by the lunar calendar. At that time, there are countless flags on the sides of the alleys and lanes, with a sea of people crowding, which is extremely spectacular(Pictures from Sushi). 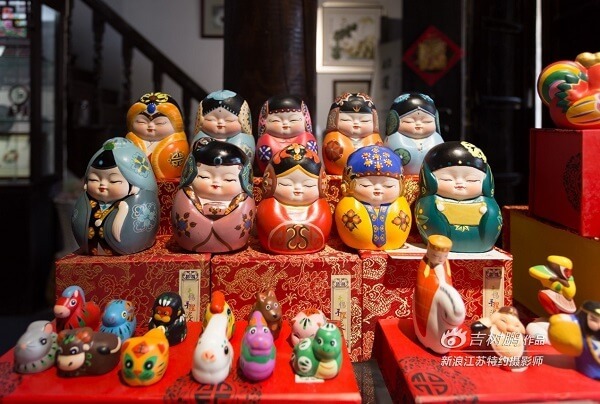 The Chinese Museum of Clay Figurines, located on the side of Baoshan Bridge in Huishan Ancient Town, has an area of 18,000㎡, where there are nearly 5000 clay figurine collections from 13 places of origin over the country. What’s more, Huishan clay figurines, Wuxi embroidery, and bamboo carving, which originated here and are included in state-level intangible cultural heritage list, have been well known both at home and abroad(Pictures from Jishupeng).